Mrs. Blake received her teaching certificate at West Liberty University. Additionally, she obtained an administrative certificate and reading specialist degree from West Virginia University. She also has the mentor teacher training credential. She has been employed with Marshall County Schools as a Title 1 teacher since November 2004. Mrs. Blake has assisted with the Marshall County Parent Involvement Policy meetings for several years. 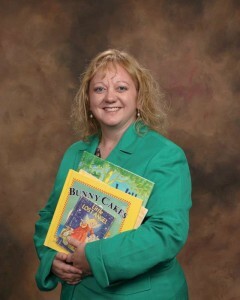 She enjoys working with students, parents, teachers, and the community to make reading and writing enjoyable activities. Jeannie loves reading, baking, and spending time with her children: Christopher, Katie, and Kabe.